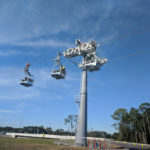 Yesterday, one Walt Disney World guest happened to witness gondola testing of the Disney Skyliner and managed to capture a short video. @ThatFLFeeling shared a tweet and video yesterday of the Disney Skyliner at Hollywood Studios as it was being tested with a gondola. 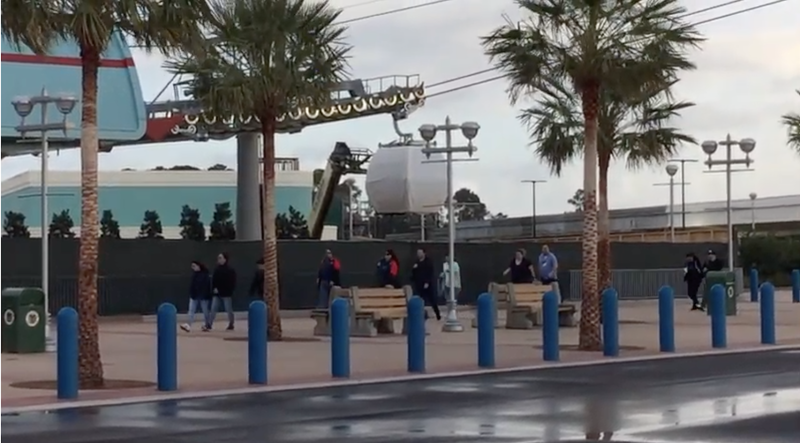 Back in December, we reported on Disney workers trying out the system using test gondolas. However, the vehicle seen in this clip appear much closer in size and design to the gondola that was on display at the 2018 Destination D event, suggesting that this could be one of the “real” ones. 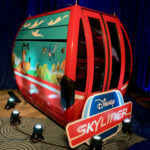 When completed and uncovered, colorful character wraps will be featured on each Skyliner vehicle. 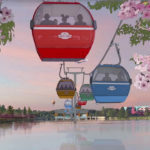 Disney has confirmed that the Disney Skyliner gondolas will not be air-conditioned. 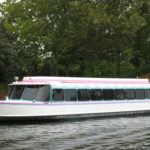 However, a Disney spokesperson said, “the units will use cross-ventilation for sufficient air flow and reflective windows to prevent direct sunlight.” Each cabin will also be wheelchair accessible. For more information about the Disney Skyliner, be sure to check out our Laughing Place Project Tracker.